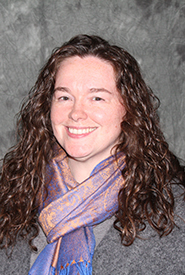 Nicole Humphrey has joined SOILL as Area Support Specialist at the Normal headquarters. She is responsible for assisting the Area Management team throughout the state of Illinois in various support roles ranging from providing general office support and technical assistance to event preparation and providing general technical help and training to team on use of common software. Humphrey previously worked at OSF St. Joseph Medical Center in Bloomington as a Marketing and Communications intern and as a graphic designer and student blogger while attending Illinois State University. She graduated from Illinois State University with a bachelor’s degree in journalism and visual communication with a minor in technology. Sharon Russell has joined SOILL as Customer Service Representative at the Normal office. She is the front-line face of the organization at the headquarters. Russell previously worked at Radio Bloomington, where she worked as the Sales Coordinator to the Vice President of National Sales. Originally from England, Russell moved to the United States in 2002. She has a very nice English accent and will greet you warmly when you call the Normal office! In her spare time, she enjoys singing as well as helping with school plays and the marching band. Most weekends she can be found camping with her husband, Rusty, and their 7-year old son, Adam. Maggie Camp has a new job assignment as Data Entry Specialist.